Last edited by sikander123; 11-26-2013 at 03:42 AM. You know someone is excited when they use all capitals. Surprised the forum bot didn't catch that...any pictures of the engine bay? What?! No pics of said engine?? Is it your car or someone else's? Yes it's my car, will upload pics of engine. is this the one that was on car and classic?? Man you guys really take care of your cars on the other side of the pond! Even that ducktail looks mint! Oh that's a 3rd accord under the covers. Breaking for parts. right on man, super nice ride. Looks clean alright, would like to see pics of the engine bay and interior too! lucky you. it looks well, and you got it for a steal. do you still have the other red and white accords aswell? That's my mate who's got them. 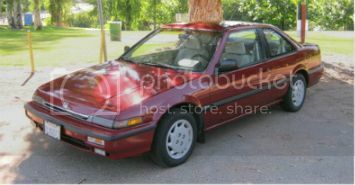 I've got a full exi accord breaking for parts, let me know if you need anything. Gold Top JDM B20 accord engine for sale MD. Did anyone from christchurch buy that gold turbo accord that was on trade me? ?